This camera easily boasts the best feature set of any Nikon DSLR camera. 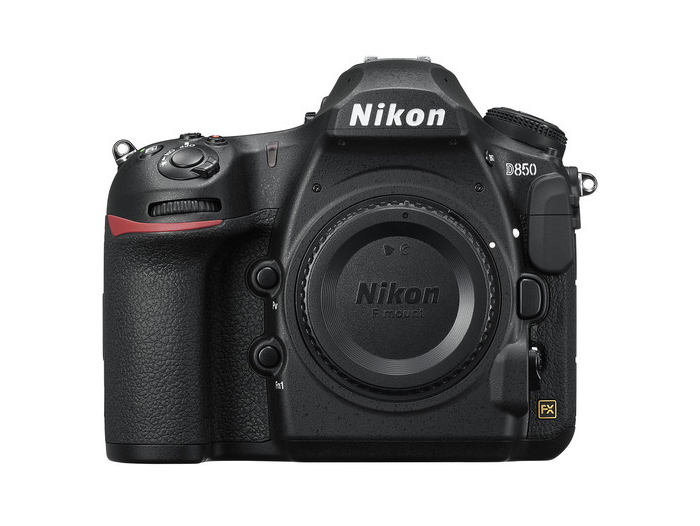 The Nikon D850 is available now at Bluewater Photo! With specs like these, you might ask yourself, what’s the catch. To be honest, there really isn’t one. The Nikon D850 delivers. A combination of resolution, dynamic range, ISO performance, exceptional autofocus and a speedy 7 frames per second is nothing short of spectacular. With improvements across the board, you are getting more tools to help you nail your shots, whatever they may be. 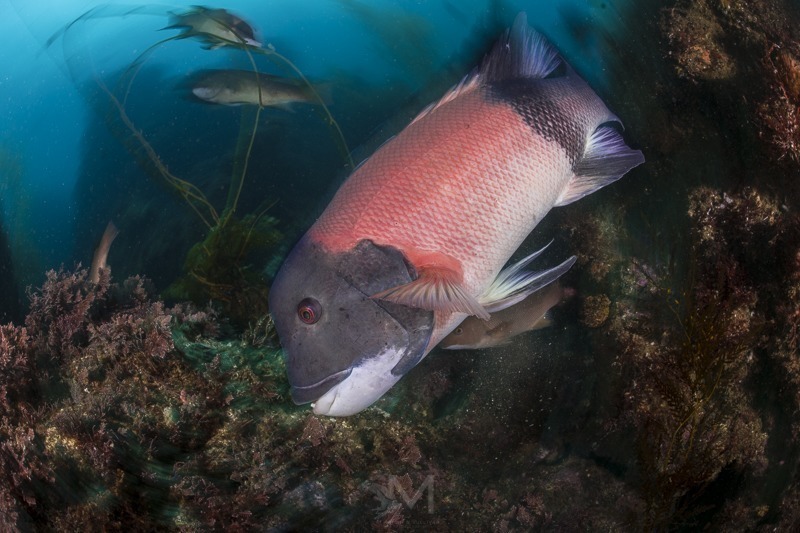 By combining the sensor’s exceptional dynamic range with a base ISO of 64, you get more control to balance vivid reefscapes with the brightest sunballs, while maintaining exceptional colors and detail throughout. When the diving isn’t all clear skies, sunshine and great viz, you get plenty of room to bump the ISO to capture more detail and light in the darkest of wrecks, caverns, and caves. The amount of detail able to be pulled up from shadows is quite astonishing. The NIkon D850 handles combining the smallest of critters and strongest macro diopters with ease, and does so effortlessly with it’s incredibly fast and accurate autofocus even dim, fading light. Not only is the autofocus extremely accurate, it’s also remarkably fast, absolutely one of the best autofocus systems available, matched only by the D500 and D5 in the Nikon world. For the fast-paced, high intensity action you get 7 frames per second coupled with an array of autofocus and auto-iso options; letting the camera do some of the heavy lifting for you allowing you to focus on the rare encounters you traveled halfway around the world to experience. The 51 image buffer is pretty amazing considering each image is 45.7 megapixels! The buffer ensures that there will be no slowdown in your photo taking for image processing. The lag between taking burst shots and reviewing them is greatly reduced as compared to the D810. For the cases when, despite your best efforts and practice, you couldn’t quite nail the shot with absolute perfection, you still have one remaining tool at your disposal: a hefty 45.7 megapixel raw file. In addition to being able to print massive images, this extra resolution can come in handy in some other situations too. Did you forget to change your strobe batteries and are now forced to shoot natural light, far above your standard ISO, as a one in a lifetime event unfolds in front of you? Did you jump the gun on that sea lion as it buzzed by, leaving the subject smaller in the frame than you wanted? Did your subject flee as you were inching closer before you were able to fill the frame? This much resolution gives you room to touch up in post, cropping and reframing as needed. In the event that you need to shoot with an ultra-high ISO (such as a dead strobe), the camera can still produce stunning images if you don’t need the absolute, full resolution. Downsampling the image will easily eliminate a lot of the noise with resolution to spare, rendering a useable image. Accepting a “less than full resolution” image where you would otherwise end up with nothing is a tradeoff I would make every day. Even at half resolution, you still have an incredible 20 megapixel images to work with! There are a few things worth digging deeper into with regards to the autofocus of the D850. This camera has the same autofocus system as the flagship Nikon D5. This high-performance sensor module (the Multi-CAM 20K) combines 153 focus points, of which 99 are cross type sensors, with a dedicated AF engine. Of these 153 focus points, 55 are user selectable. Cross type sensors are more accurate and help to minimize focusing errors, while having more sensors helps the camera track focus in the different autofocus modes. When you combine these focus points with the dedicated AF engine, the camera is able to speed up the autofocus calculations - much like a current computer gets faster with more CPU cores or threads. The end result is faster and more accurate focusing and tracking, essential for both fast-moving and high speed shooting. 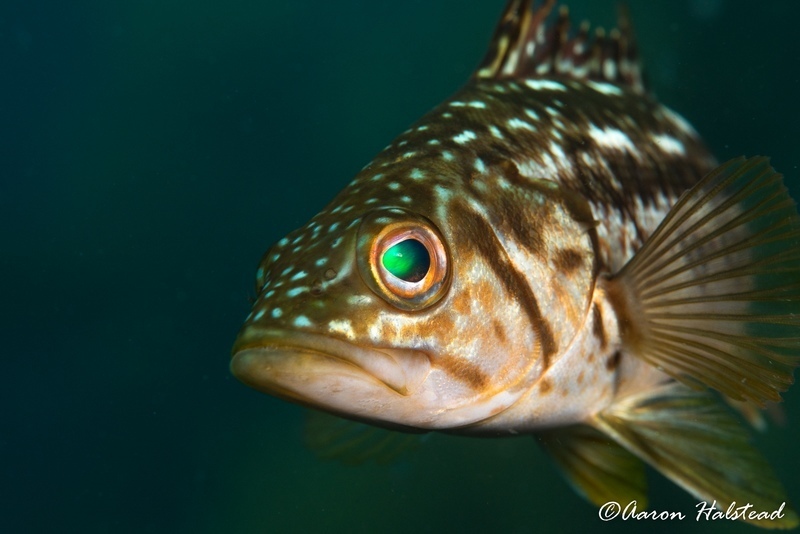 It’s also worth noting the low-light performance of the autofocus, as we often shoot in dim underwater conditions. The D850 is able to focus in the center point down to -4 EV, and -3 EV at all the other AF points. This is roughly the equivalent of a dark moonlit night, with the light given off during a full moon being around -2 to -3 EV. Although we recommend using a focus light, it’s nice to have that extra flexibility to not use one when you’re shooting shy subjects. The camera will detect subjects and focus on them accordingly. Letting the camera choose very critical settings is not recommended, though your results may vary. The camera focuses on a single point selected by the photographer. Best used when you want very specific control over what is in focus, such as macro or super macro, when your subjects are fairly still. The camera uses all the points in a group to determine focus. Like single-point, this is useful for still subjects such as macro and super macro, and is useful when camera is having a hard time getting focus with single point. Priority is spread across multiple points, so the camera does its best to keep them all in focus. The camera focuses around a single point, using 9, 25, 72, or 153 of the neighboring points to continuously maintain focus. 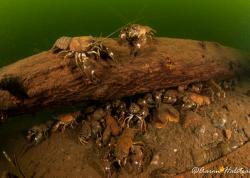 Great for fish and other moving subjects, allowing you to frame the image and still allow for some movement. Priority is weighted toward a single focus point so this relies on you keeping the AF points over your subject. The camera focuses on a single point, and attempts to intelligently follow the subject as it moves across the frame using all 153 focus points. Great for fish and erratically moving subjects. This mode allows you to lock focus and follow the subject as it moves throughout frame. This is really powerful and allows flexibility to quickly adjust your framing without having move the focus points on the camera, potentially missing the shot. Although the focusing is very accurate, often able to snap and lock on very quickly, the camera will still occasionally hunt. 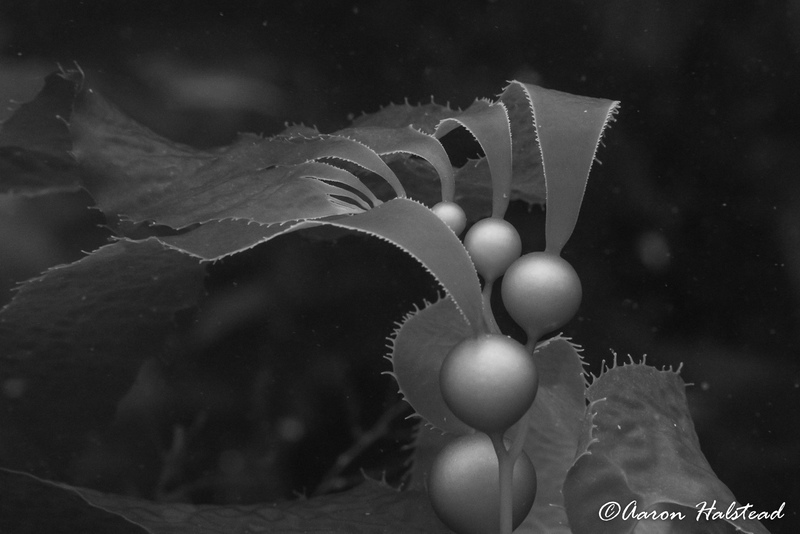 As underwater photographers, there is going to be particulate floating in the water so it’s not uncommon for the autofocus to get confused. With the latest Nikon glass, such as the Nikon 105mm f/2.8G or Nikon 60mm f/2.8G lenses, when the camera does need to hunt to focus, it’s able to do so much faster than the previous generation lenses and cameras* - so it’s worth noting that there is a lens component to the autofocus performance as well. *From my experience with the D850/D500 (which shares the same AF engine) and an older D90, although the Nikon 105mm f/2.8G could be able to hunt for focus as fast on an older body (since the AF motor is built into the lens), it doesn’t. The details are not 100% clear, but the speed of hunting is 3-5 times faster on the D850/D500 - so if you are upgrading from a couple generations old camera, you’ll be getting much faster autofocus speeds (in addition to much more accurate focus) with the same lenses. 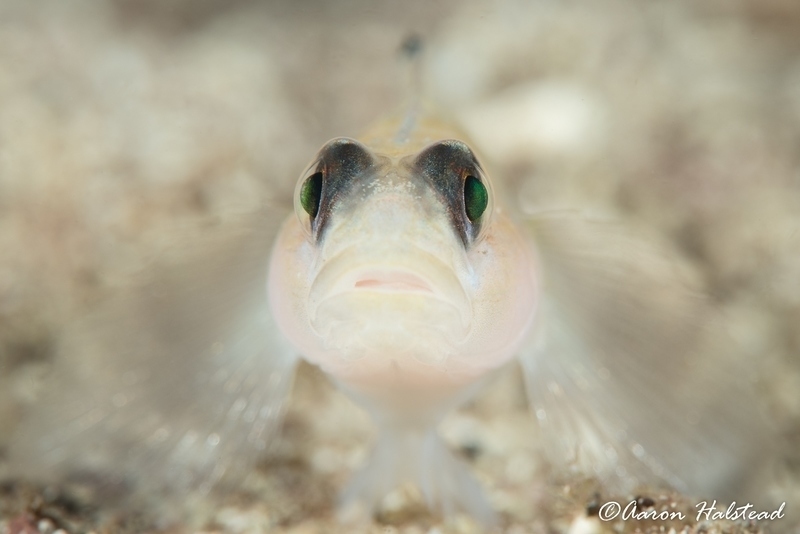 Focus stacking is an exciting new feature offered by the Nikon D850 - though limited in terms of underwater use. It will automatically take up to 300 shots at different focal points, and the photos can then be combined in post into one photo where the complete subject is in focus. 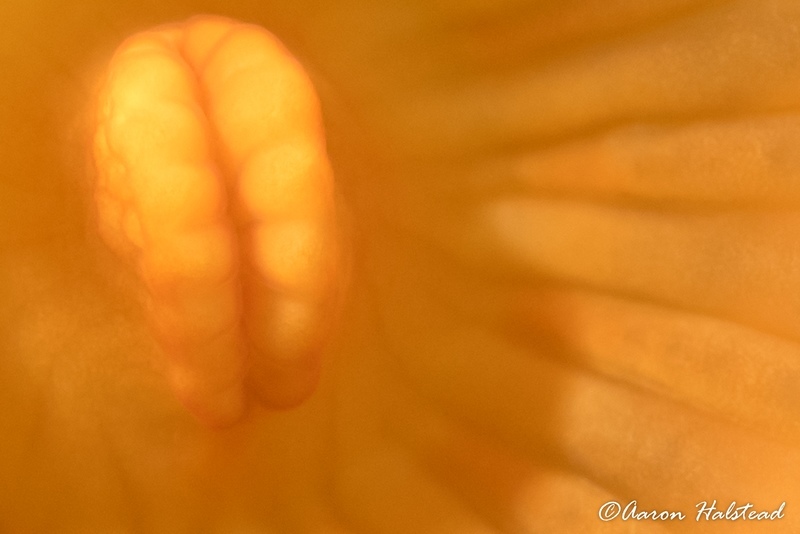 It can be very useful for macro / supermacro photography. The native ISO range of the Nikon D850 is now 25,600 ISO, an increase of the 12,800 ISO of the D810. The D850 uses a new back-lit sensor which offers better low-light performance. On the low end, ISO 64 is a welcome option for shooting in bright conditions, which is also available with the Nikon D810 but not the D800. 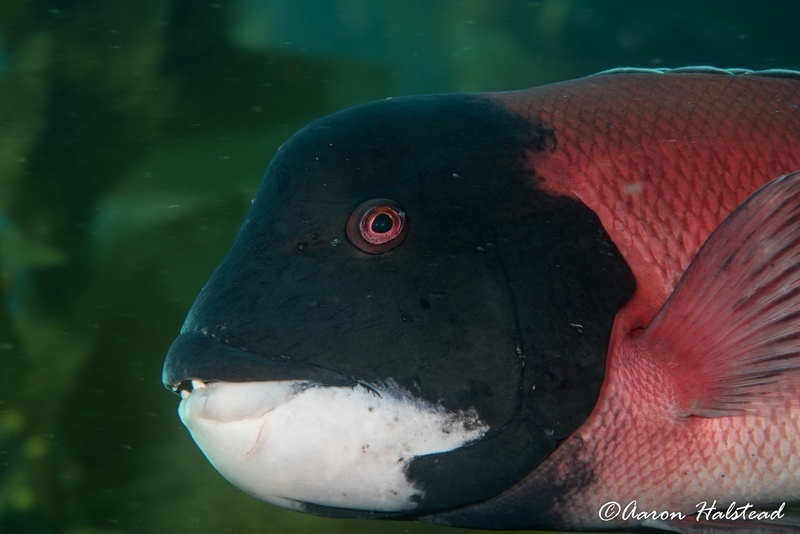 ISO 64 is gorgeous and the detail, color, and dynamic range at that ISO allow for better image quality than any other system underwater. 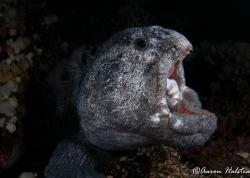 However, shooting at ISO 25,600 is not necessary underwater. The D850 does improve on the high ISO performance from the D810, which is impressive considering the bump in resolution. While the dynamic range does suffer as it does on any system, it is still quite nice. The D850 is the first Nikon camera to offer full-frame 4K video, something few other cameras support. Previous Nikon cameras would only use subset of the sensor resulting in a crop factor while the D850 is able to use the full width of the sensor. This means you aren’t losing any FOV, which is great for wide angle video while options are still there to enable the DX crop of 1.5x for macro to allow for tighter framing. 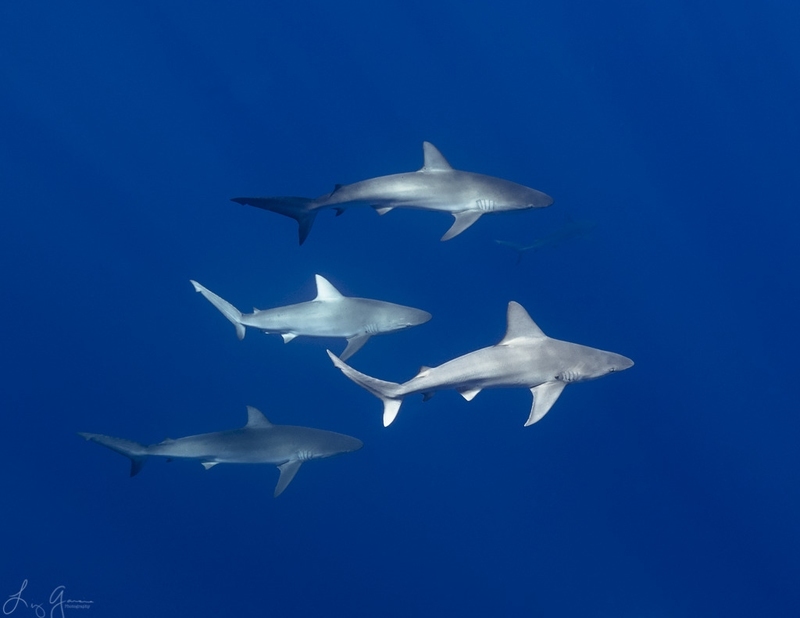 Best underwater white balance performance of any Nikon DSLR. If underwater video performance was keeping you from switching to Nikon, be prepared to reconsider your options! 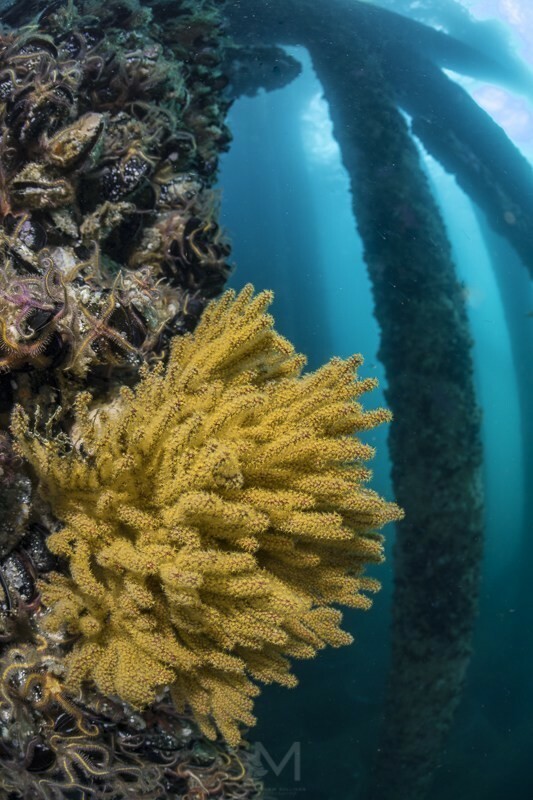 The Nikon D850 improves upon the Nikon D810 in almost every way, making it the best camera on the market for underwater photography. 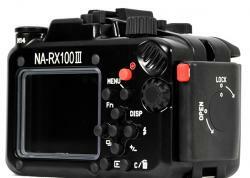 Most importantly, the increase in resolution does not result in a compromise of dynamic range! The D850 does this with its new backlit CMOS sensor expanding the megapixels from 36.3 MP to 45.7 MP. 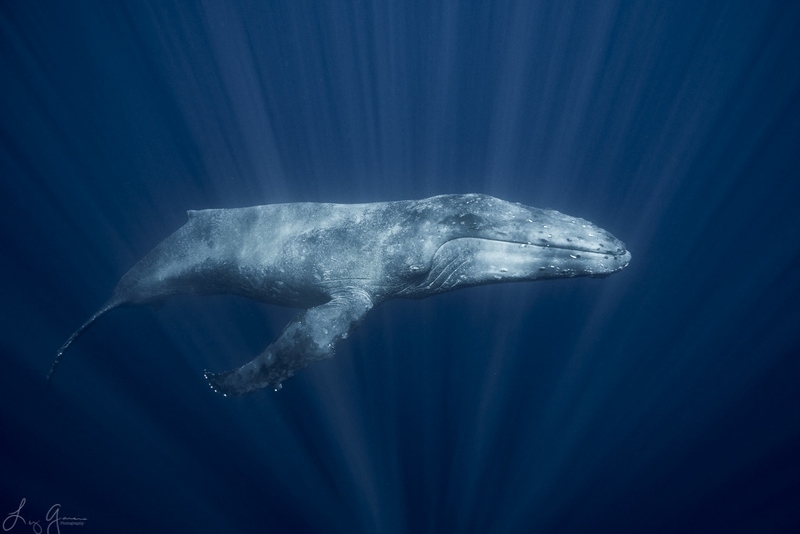 The higher resolution is welcome, although only people who are shooting very close subjects underwater with the best lenses at the optimal apertures will notice the difference. The image dimensions change from 7360x4912 pixels on the D810, to 8256x5504. Ultimately you need to decide if you really need additional megapixels – not everyone does. In DX mode, the sensor will crop down nicely to 20 megapixels, perfect for using the Tokina 10-17mm fisheye lens, or for greater reach with long/macro lenses. Of course you can always crop in post, but some photographers may prefer to compose in camera at the final resolution. No pop-up flash. This was removed to increase weather-resistance, but it takes away the possibility of shooting with strobes and fiber optic cables in case your sync cords flood or your flash trigger stops working. Overall, this is Nikon’s best video setup, but probably not “the best” setup for full time video. There are several limitations to combining video settings, such as not being able to use zebra stripes and focus peaking together and not having focus peaking in 4K. This is a fantastic camera all around, but this may not be the perfect fit for everyone. The best approach to determine if this is a good fit for you is to fully understand what you are looking to do with it. Do you shoot with available light? Do you rely heavily on your autofocus? 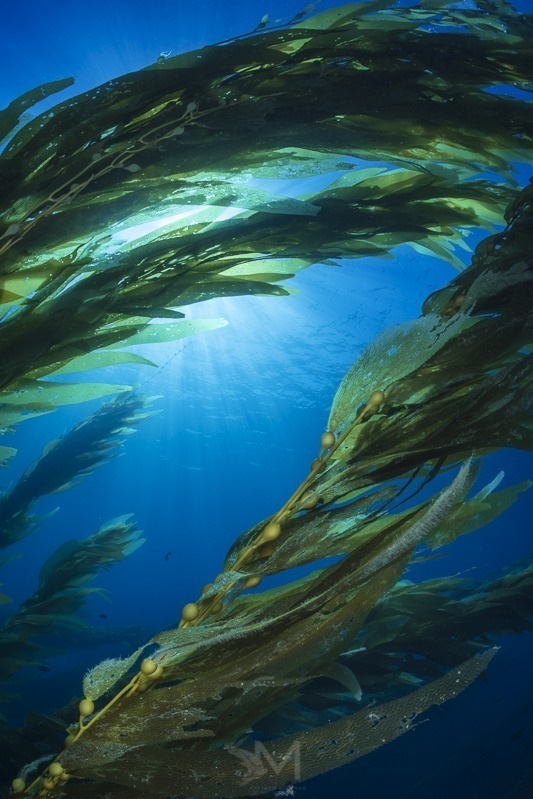 Do you shoot colorful reefscapes? Wrecks? Macro or supermacro? Do you print your images? 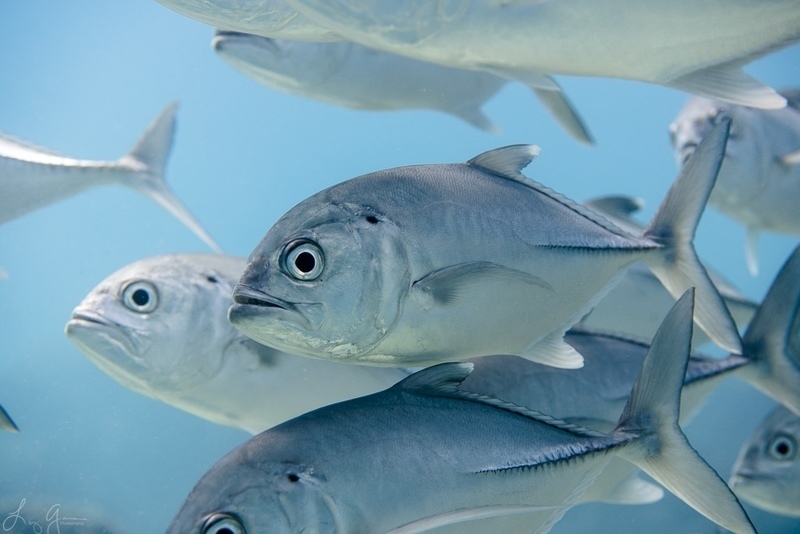 Do you need high frame rates to capture rare interactions or behavior? Do you shoot a variety of stills and video? Do you travel, and are you willing to do so with a bulkier ports to capture the highest quality images you can? If you answer yes to just a few of these, the D850 won’t disappoint.Compact and mirrorless users will need to make sure they are ready to make the jump to a full DSLR setup. If you do, however, prepare to be blown away. With the exception of the Nikon D5, or with Cannon, the 5D Mark IV/Canon 5DSR, there are very, very few rivals to this camera - this is about as good as it gets! While those 45.7 MP images can be amazingly detailed, giving you some extra flexibility in post, it’s going to be more challenging to fully utilize them. To take full advantage of the D850's resolution, you need great optics throughout both lenses and ports. If your ports or glass are limiting your image quality, it doesn’t matter how many megapixels your camera has.In general, the lens reccomendations follow the D810 with the Nikon 8-15mm being a notable addtion to that list. 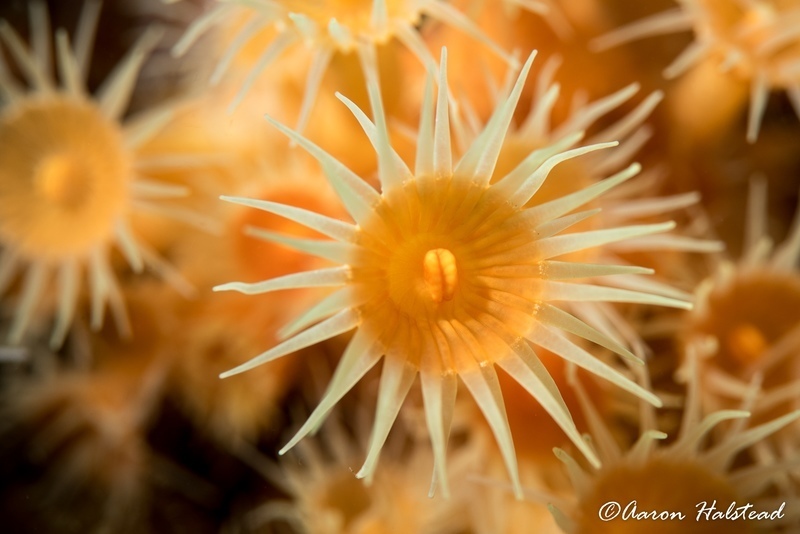 The nauticam super macro converter (SMC-1) is a wet diopter perfect for taking sharp super macro images. In fact, it is the strongest, sharpest diopter on the market. For the best super macro results, use it with the Nikon 105 mm 2.8G VR lens. 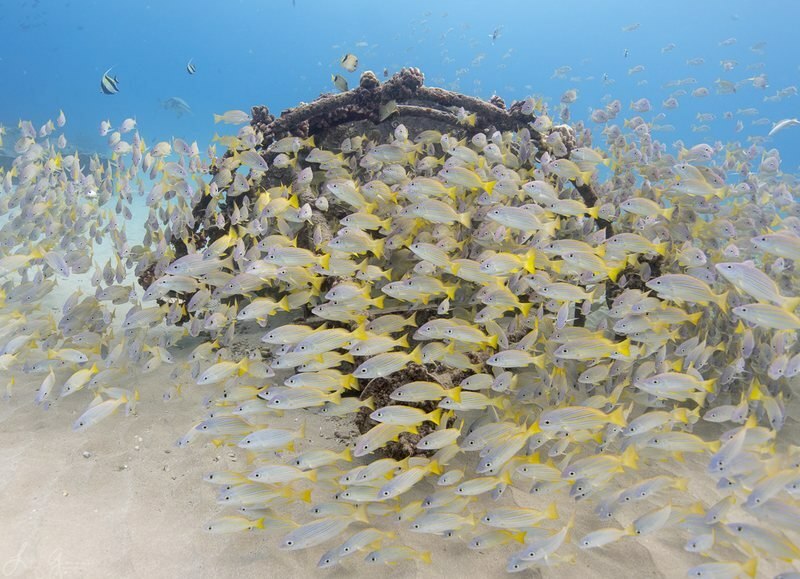 Get creative with the full circular image, or zoom in for a more standard fisheye lens. Read the Nikon 8-15mm FX AF-S f/3.5-4.5E ED Zoom Fisheye Review by Mark B. Hatter. With a little background in optics and understanding of how lenses and ports work underwater, or more specifically, what happens to light as it travels from one medium to another, it starts to become clear that dome ports are not the solution for everything. To get sharp images with a dome port and wide-angle rectilinear lenses you generally need a big dome, and enough light to shoot at a higher f-stop to get sharp corners. The alternative is to use optics that were designed to be used in water. These corrector ports, or water contact optics, are designed for this air to water barrier in mind, and as a result give some of the best quality currently possible. This allows you to shoot wider apertures while maintaining image sharpness in the corners. 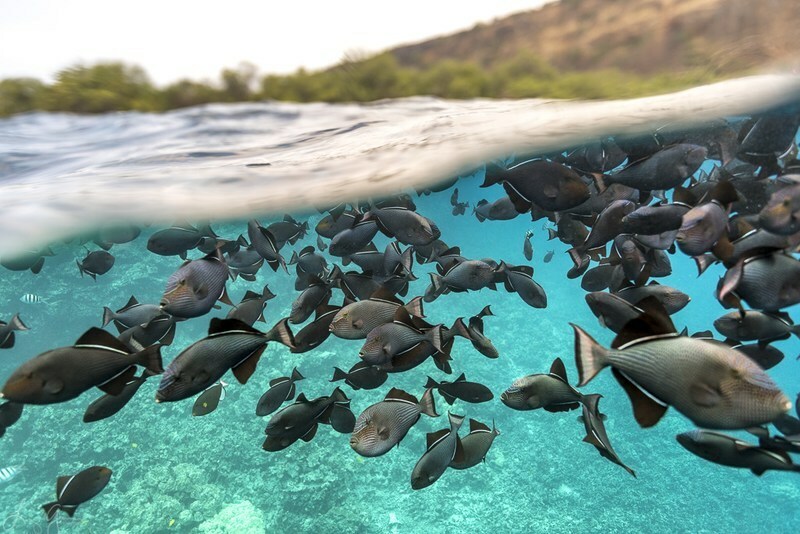 Nauticam has been aggressively exploring this area and with their latest offering, the Wide Angle Conversion Port or WACP, is able to deliver sharper images where dome ports struggle. Although this is extremely sharp, it’s limited to a 130 degree FOV, so it’s not a replacement for a fisheye lens. Aquatica has recently announced their housing for the new flagship camera from Nikon, the D850. They have truly taken steps in the right direction with this model. The housing itself is 12% lighter than the previous D800 and D810 models, but continues to boasts the same depth rating and ergonomic controls. 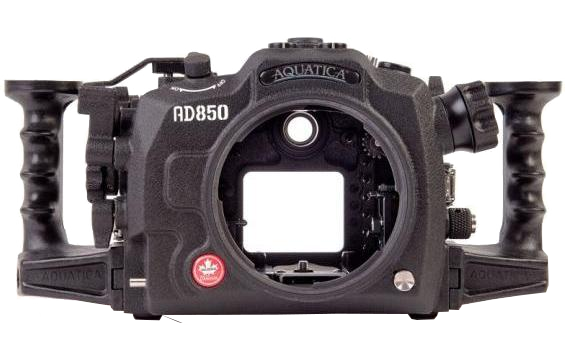 The Aquatica D850 housing is available now at Bluewater Photo! Nauticam is known for producing functional, ergonomic, customizable, and durable housings. 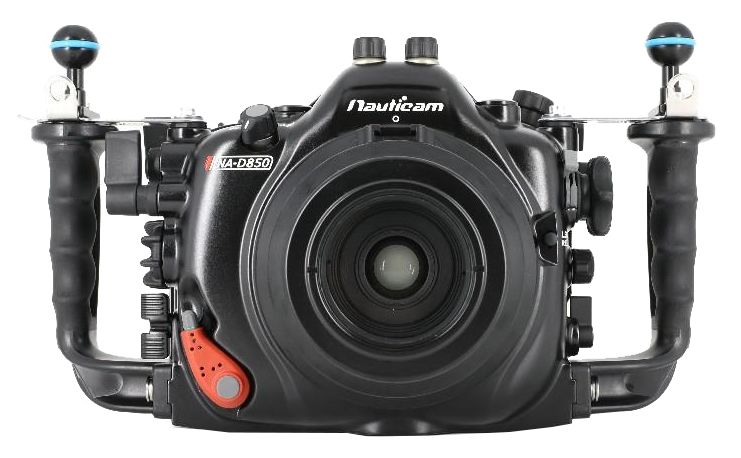 The new Nauticam D850 is no exception. All the levers, buttons, and wheels on the aluminum housing are clearly labeled so there is no guessing as to what button you are pushing or wheel you are spinning.The NA-D850 features the patented Nauticam bayonet port lock mechanism and the electro-optical converter like the one found on the D500 and the D5 housings. 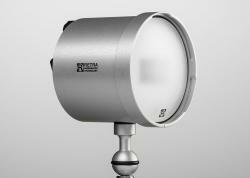 This allows the use of fiber optic cables on a camera that doesn't have a pop up flash. There is also a new lever that falls under the left middle finger that makes toggling between the autofocus modes very quick and easy. 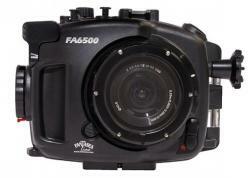 The Nauticam D850 housing is available now at Bluewater Photo! The Sea & Sea Nikon D850 Housing is the smallest aluminum housing, with easy to reach controls, bulkheads for sync cords, and an optional vacuum check system and internal TTL converter. It is 11% lighter than the Sea & Sea D810 housing, which was already a very light housing. One of our favorite features of the housing is that all of the controls now have a spring to prevent slip of the controls, even if they wear over time or if the camera dimensions vary slightly. Lenses can be changed without taking the camera out of the housing. 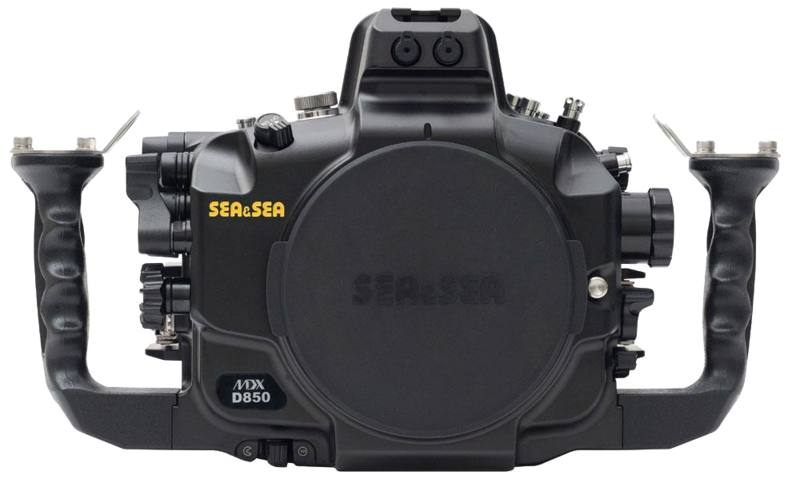 The Sea & Sea D850 housing is available now at Bluewater Photo! Several excellent housings are now available for the D850, but most will cost you more than the price of the camera, even without a port. Thankfully for those on a budget, longtime U.S. housing manufacturer Ikelite now offers a very affordable alternative that still offers high quality and supports a wide range of lenses and accessories. And, it boasts their new, much improved “dry lock” port system, making it easier than ever to change ports, along with a new vacuum check system, both of which are designed to protect your delicate camera like never before. 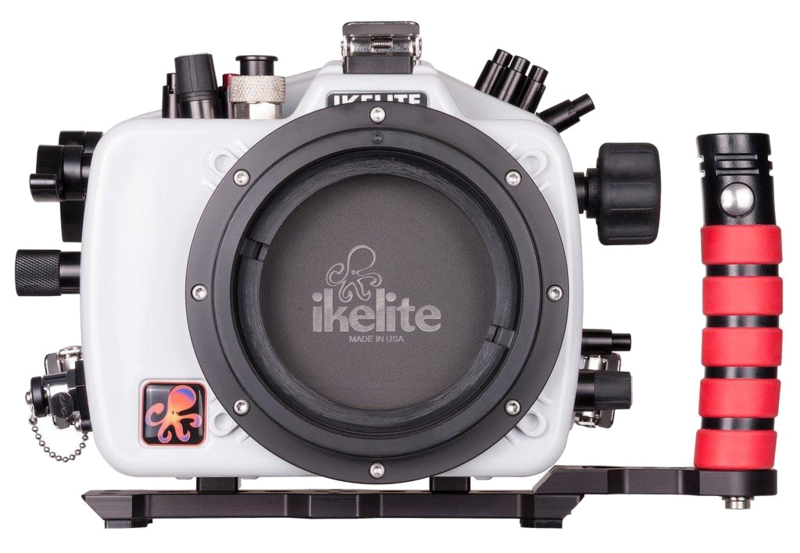 The Ikelite D850 housing is available now at Bluewater Photo! The D850 manages to add to the success of the D810, giving you improvements to all the tools you use as an underwater photographer. While this comes at the cost associated with a top-of-the line system, this is a versatile and extremely capable system. The combination of image quality, resolution, and autofocus performance leaves little to be desired. With the D850, you really are in the best position possible to capture anything thrown at you, and to capture that in the highest quality possible. As it is always best to get it right in camera, with the D850, you get the best tools available to maximize your chances of capturing those special moments. A lot of photography is understanding trade offs, and with the D850, you simply have more to work with all around. Give us an email (info@uwphotographyguide.com) - we’re happy to help answer any questions you have! For sales questions, be sure to email the friendly staff at sales@bluewaterphotostore.com. Special thanks to Liz Garcia for sharing some of the amazing images she's captured with her D850. Be sure to stop by her Instagram page to check out more of her images! 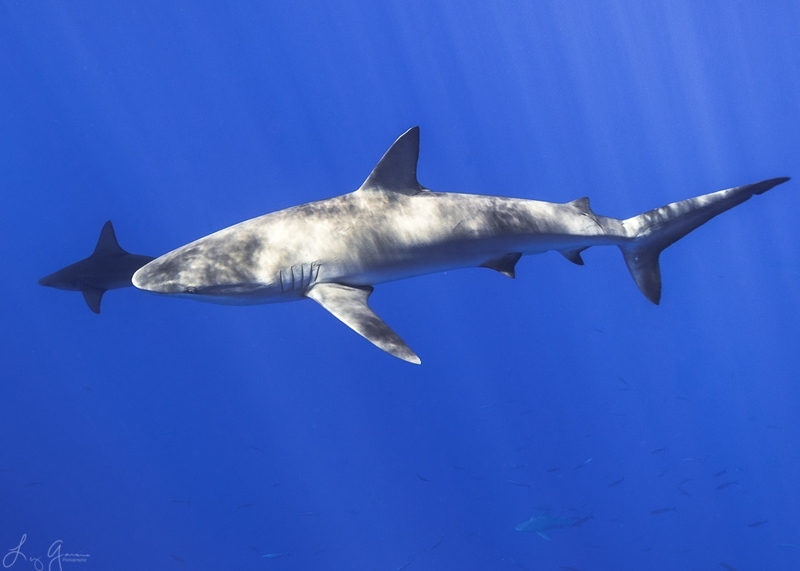 Aaron Halstead is an avid diver, critter enthusiast and underwater photographer living in Southern California. He is pretty addicted, send help. More work can be found on his Instagram, Website, or Facebook page.